One of my biggest annoyances in the move to Windows 7 is the loss of the drop down box for whether to login to a local account or a domain account. When you spend your life as a computer technician and constantly need to get access to local administrator accounts in addition to domain-based accounts, this is very irritating. 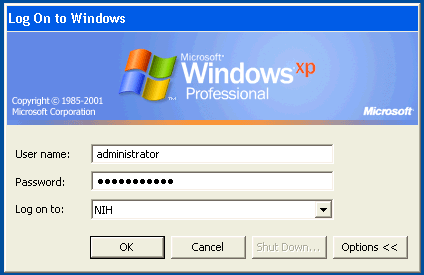 When I need to login as the local computer’s administrator it was as easy as changing the Log on to: box. Now I can login as a local administrator and complete the work I need to do. There is no longer a quick way to login to the local account. Unless you know the computer’s hostname 1 you had to click the “How do I log on to another domain?” link. Then write down or remember the name. I have found a faster way. 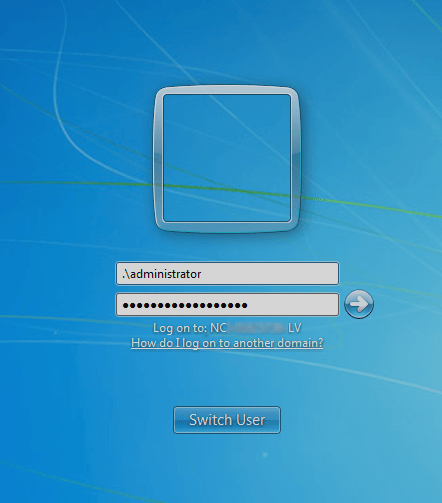 If you type .\ in front of the user name, it will automatically set the Windows 7 computer to login to the local PC. For example, .\administrator will give you localcomputer\administrator instead of domain\administrator. This is easier than trying to recall hostnames or making little notes at every computer I access where I need to login locally.